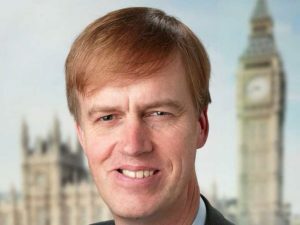 (Evangelical Focus) — Christian Labour Member of the UK Parliament, Stephen Timms, led a debate on July 15, calling for measures to tackle an alarming rise in acid attacks. There were over 450 such crimes in London last year, a big rise from 261 incidents in 2015. One third of these crimes occurred in Timm’s constituency, Newham. Last Thursday night, five people were assaulted in London in less than 90 minutes. A 16-year-old boy has been charged with 15 offences, including grievous bodily harm and possession of an item to discharge a noxious substance. I want to press the minister for two specific changes to the law,” Timms started saying.